Download Hot Spot Shield for free here. It protects your PC when you're using public networks. This enables you to use WIFI in e.g. airports, coffee shops etc. without being in danger of being under surveillance or hacked. 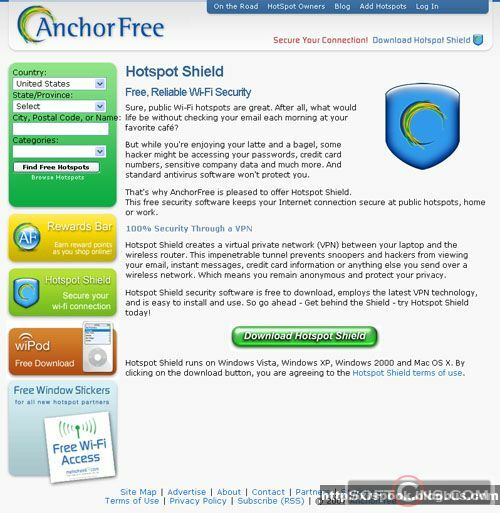 Hot Spot Shield will hide your IP address and delete any trace you might leave otherwise. Note: Are you looking for Hot Spot Shield for Mac? Download Hot Spot Shield for Mac here. Find Hot Spot Shield, mark it and choose "Uninstall"
Should Hot Spot Shield has been damaged or corrupted and thereby difficult to remove we can recommend you finding help to uninstall it here.